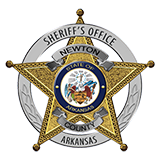 Sheriff Keith Slape states on January 29th deputies with his office assisted Arkansas Probation and Parole on a home visit to Parolee Lisa Nemec's residence in Jasper. During the visit deputies discovered drug paraphernalia, illegal narcotics and firearms. Arrested on scene were 25 year old Lisa Nemec and 47 year old Rodney Tanner, both of Jasper. Nemec was charged with Simultaneous Possession of Drugs and Firearms, Possession of Firearms by Certain Persons, Possession of a Controlled Substance, Possession of Drug Paraphernalia, and Endangering the Welfare of a Minor. Tanner is charged with Simultaneous Possession of Drugs and Firearms, Possession of a Controlled Substance, Possession of Drug Paraphernalia, Endangering the Welfare of a Minor and Furnishing a Handgun or Prohibited Weapon to a Felon.